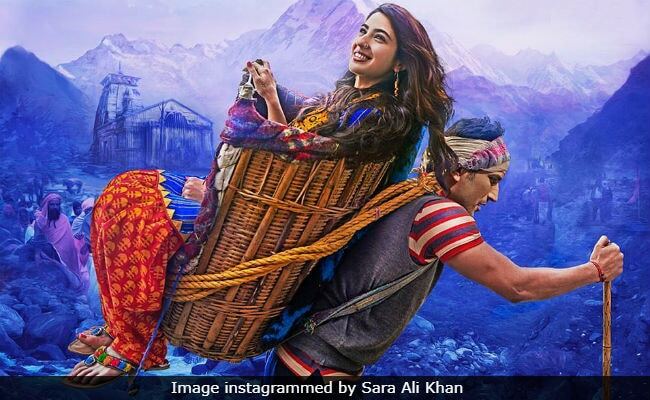 Kedarnath Movie Review: While Sushant Singh Rajput does much of the heavy lifting with a great deal of flair, the biggest asset is Sara. 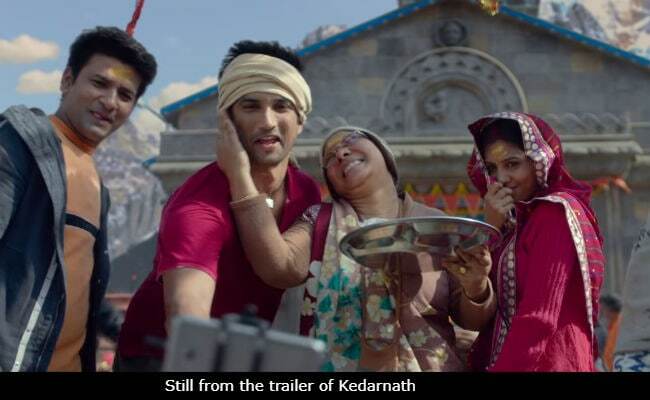 The disaster that strikes the eponymous Himalayan town and an interfaith couple in Abhishek Kapoor's Kedarnath does not spare the film either. The natural calamity turns it into a CGI-driven mess that washes away any prospect of this ambitious effort assuming the proportions of an epic drama. What we have in Kedarnath is an irresistible visual treat. The snow-capped peaks, the gushing waters of the Mandakini, the panoramic views of the settlement in the valley and the sweeping vistas around it that cinematographer Tushar Kanti Ray captures are stunning no doubt. On other parameters, too, the film strings together elements that seem promising at first flush. But the positive features are eventually buried under a deluge of clichés aggravated by a contrived climax. The screenplay by Kanika Dhillon, which touches upon pressing issues but does not follow through with them, takes its time in etching out the broad contours of the plot and the characters that populate it. It moves forward only in fits and starts. As a result, the relationship that takes roots between an amiable Muslim porter and a Hindu priest's free-spirited daughter does not attain the intensity of passion to mirror the devastating force of the twin threats that the duo and the town face - an impending natural calamity and the fast spreading venom of religious bigotry. Post-interval, Kedarnath hurtles helter-skelter through 'disaster film' terrain, where computer-generated imagery floods out the crucial questions raised in the first half regarding the steady erosion of the holy town's fragile eco-system and its ingrained culture of pluralism in which people of different religious denominations have lived in peace and harmony for generations. 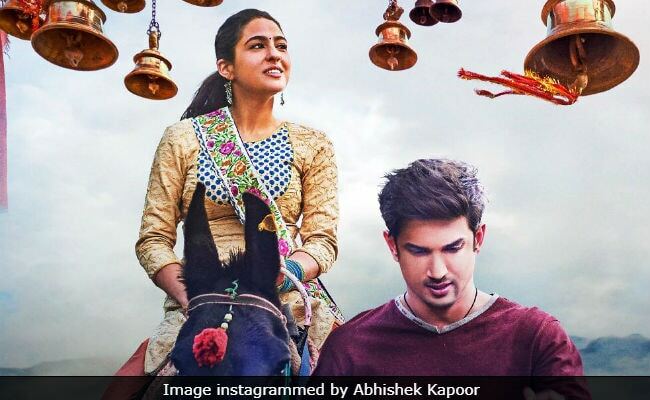 As the film opens, a middle-aged woman headed to the Kedarnath temple baulks at the thought of doing the two-hour climb with the Jai Bholenath-spouting Mansoor Khan (Sushant Singh Rajput) because the latter does not worship Hindu gods. Get on the back of my mule Rustom then, the chatty porter retorts, the animal does not perform aarti in a temple nor offers namaaz in a masjid. The woman sees the point. By the end of the trek, Mansoor has her eating out of the palm of his hand. 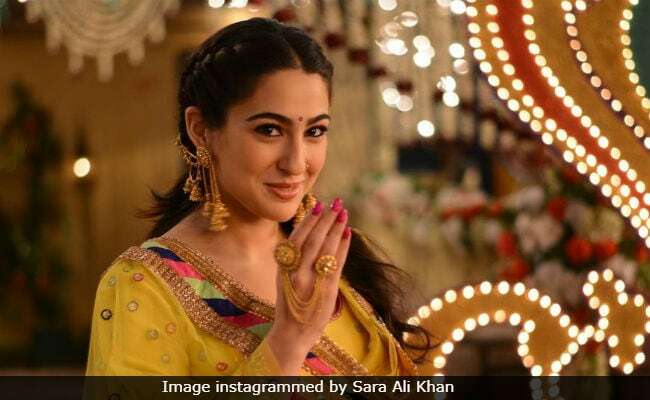 Mansoor has another not-so-secret admirer - Mandakini alias Mukku (Sara Ali Khan), younger daughter of the temple head priest and tourist lodge-owner Brajraj Mishra (Nitish Bharadwaj). Their growing proximity sets off a chain of events that riles her family, which includes her mother (Sonali Sachdev) and elder sister (Pooja Gor), and the hate-mongers lurking in the bylanes of Kedarnath, led by Mukku's smarmy fiance Kullu (Nishant Dahiya). The latter plans to set up a two-star hotel in Kedarnath to accommodate the growing volume of pilgrims. In a meeting of townspeople, Mansoor registers his opposition to the proposal. Tirth-yatra (pilgrimage) and vyapar (commerce) should not go hand in hand, he argues. Kedarnath, he says, should ration its annual intake of pilgrims. Kullu takes a potshot at Mansoor's religious identity. Don't poke your nose into our affairs, says Kullu. Mansoor's response is irrefutable: we've been in Kedarnath forever and have as much of a stake in its future as you do. These two significant threads of the story - rapid environmental degradation and the fraying social fabric - are sadly lost in a maze of dramatic flashpoints that make up the rest of the film. These include a violent attack on Mansoor, a forced exodus of the porters and, as if on cue, a cataclysmic flash flood brought on by the Chorabari Lake breaching its banks following torrential rains. This last bit is of course based on true events of June 2013 in which 4,000 people died and 70,000 went missing. Rain obviously play an important part in the rain. The first shower we see is a benign, soothing force - it reminds the heroine of her deceased mother who she believes turned into rain the day she passed away. Her story ignites passion. A kiss ensues. The sequence ends with a fadeout, one of many that the film employs to indicate important plot points. The second time it rains in the film, it takes on a far more ominous ring - it triggers the flashpoint that drives a wedge between the two communities. The final storm assumes catastrophic proportions, sparking a massive cloudburst - the VFX borders on the embarrassingly tacky here, as it does at various other junctures from here on. 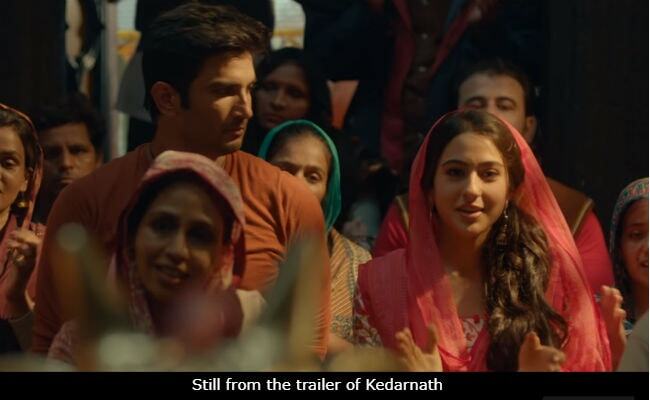 While Sushant Singh Rajput does much of the heavy lifting with a great deal of flair in the course of the film, the biggest asset of Kedarnath is Sara Ali Khan, as self-assured a debutante as any we have seen in recent years. The actress may have got here because of the family she was born into, but nothing that she does in Kedarnath would suggest that she undeserving of this opportunity. She frequently steals Rajput's thunder, especially in the more intense sequences. She is confident, measured and convincing. Sara is saddled with a role that could have done with some fine-tuning: from a tough, assertive girl she turns into a whimpering mess by the end of the film. What is truly amazing is that she does not let the downward arc throw her off. She keeps her bearings about her with the sort of authority that belies her greenhorn status. There are stray moments in the film where she sports a hint of a no-makeup look - these are the moments where she is at her best, a pointer to her potential as an actress who has the chops to be more than just a hero's 'sweetheart'. The strong impression that the newcomer makes is despite the fact that neither she nor her principal co-star look anything other than two well-groomed, coiffured, manicured Bollywood stars who've been airdropped in a town where they can only stick out like sore thumbs. The lines they speak are at times unintelligible but one cannot be sure if that is because of faulty dialogue delivery or uneven sound levels in the theatre. Any critical judgment in this respect will have to wait for another viewing of the film. Kedarnath is a two-hour film, so the demand it makes on your time is reasonable. The special effects aren't up to scratch nor is the screenplay, but do watch the film for Sara Ali Khan. The pleasure of watching a young actress who not only holds her own in her very first film but also reveals her long-term potential in no uncertain terms makes the otherwise disappointingly inert Kedarnath worth a trip to the multiplex.